Ahh, the green season is upon us once again. 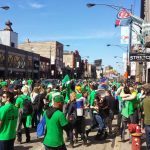 St Patrick’s Day is one of Chicago’s most dear holidays. Everyone becomes Irish for a week and enough whiskey is taken back to make John Jameson proud. The river flows green, as well as the beer. Corned-Beef is not in short supply and neither are specials. 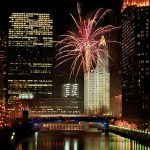 If you are looking to hit the bars for this year’s St Patrick’s Day celebration– be sure to map out these locations. Cactus Bar and Grill in located perfectly for the river dyeing and parade route. On Saturday (14) they will be opening their doors at 10 a.m. to welcome patrons with open arms and Left Hand Milk Stout Nitro pints for just $4! Jameson shots will be $7 and Irish car bombs coming in at $9. If you get hungry, Chef Glenn Pistorio’s full menu (bar snacks, flatbreads, salads, sandwiches, burgers and more) will be available until 9 p.m.
Cantina Laredo is going full-force as soon as the doors open at 11 a.m. on Saturday (14). DJ Matt Rochford will spin Irish tunes and Latin beats in the upstairs lounge from 11 a.m. to 8 p.m– drink some whiskey and put on your dance pants. The drink specials come in the form of $3 green Mexican beer on draft (Dos Equis Lager) and the signature margaritas (Casa Rita, $9.25; Ginger Mint Mango Rita, $11.50; Perfect Patron Rita, $12.25; and more). Their food menu will be offered in full for brunch, lunch and dinner. Before you plan your route of attack this weekend, keep this in mind. Chicago q is offering cash-and-carry Pulled Pork Sandwiches to snag while you are making your way bar to bar. Chef Lee Ann Whippen’s award-winning Pulled Pork Shoulder is served-up on a pretzel bun with choice of sauce including Original Mild, Original Spicy, South Carolina Mustard or Eastern North Carolina Vinegar. Sandwiches can be purchased from Chicago q’s patio from 10 a.m. to 4 p.m. on Saturday, March 14. If you happen to have a sweet tooth, there are also Irish Car Bomb cupcakes, Guinness Chocolate Cake with Baileys Irish Cream Ganache and Jameson Buttercream available. If your thirst isn’t quenched, they have bottled beverages. For a little bit of Irish celebration– and NCAA dosage– stop in to Commonwealth Tavern. On Saturday, March 14, and Tuesday, 17, they will be having food and drink specials. Whether you are looking to just eat, or get rowdy– they are ready. Chef Donny Farrell is featuring Corned Beef & Cabbage with potatoes and carrots for $12. 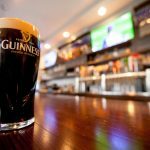 Drinking won’t break the bank, with $5 20-ounce Guinness drafts, $7 Irish car bombs, $4 Green Miller Lite drafts and $4 Tullamore Dew shots. The Compass Bar brings those thoughts of ‘what if’ to reality. That question before us,”What if someone put corned beef and cabbage on a pizza?” That is precisely what they did, and for only $10. On top of that, there will be $8 bombs, and $5 shots including Jameson, Malört, Milagro and Fireball as well as $5 Jello shots. These specials are on Saturday, March 14, and Tuesday, 17. Frontier wastes no time when it comes to the St Patrick’s Day celebration. They get straight to the point, starting at 10 a.m. on March 14th. 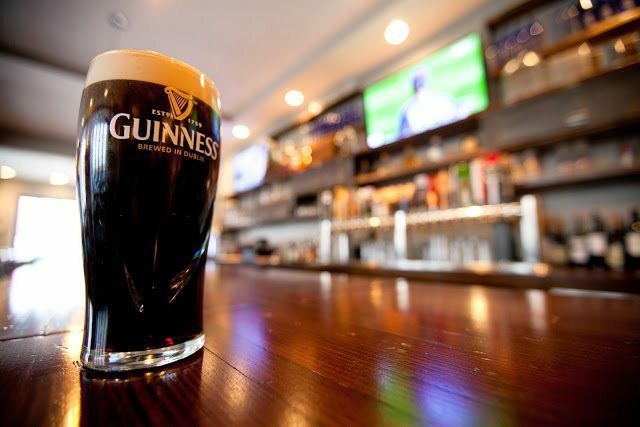 The bar will be flowing with $5 green beer, $7 Guinness and $8 car bombs! 3231 N. Clark St. 1552 N. Wells St. 1048 N. Milwaukee Ave.
kanela breakfast club chicago dishOn St Patrick’s Day, March 17, Kanela will be rewarding everyone in green. Start your celebration with breakfast– you don’t want to start drinking on an empty stomach, after all. Anyone who dines and wears green will receive a complimentary order of Loukamades (that’s Greek doughnut, lemon honey syrup and toasted walnuts to everyone else). It may not be an Irish meal– but that won’t stop me from eating it. Lottie’s kick off festivities early. On Saturday, March 14, beginning at 9 a.m. with $5 corned beef sandwiches, $5 22-ounce green beer mugs, and $5 Chi-rish aluminum pints. It sounds like once you show up, you might not leave. 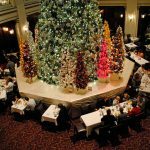 Transition to Sunday, and they will be serving brunch until 2 p.m., with $4 mimosas! 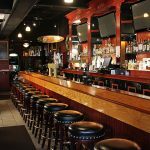 If you are planning a party– consider Lottie’s Pub. If you book your party at the pub, or arrange a trolley crawl stop– you’ll receive a $25 gift card. That equals out to 110 ounces of green beer for free! The Pony wants you to come in on Saturday (14th) for some late breakfast (10 a.m.) corned beef sandwiches ($5), go downtown and watch the river turn green, then come back to take down a delightful amount of green beer– 22-ounces for just $5 to be exact. Chi-rish aluminum pints are just $5 as well. 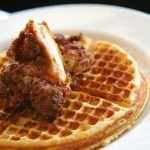 Sunday will also have brunch until 2 p.m. and $4 mimosas. Planning a party? Get ahold of The Pony and they hook you up with a $25 gift card. 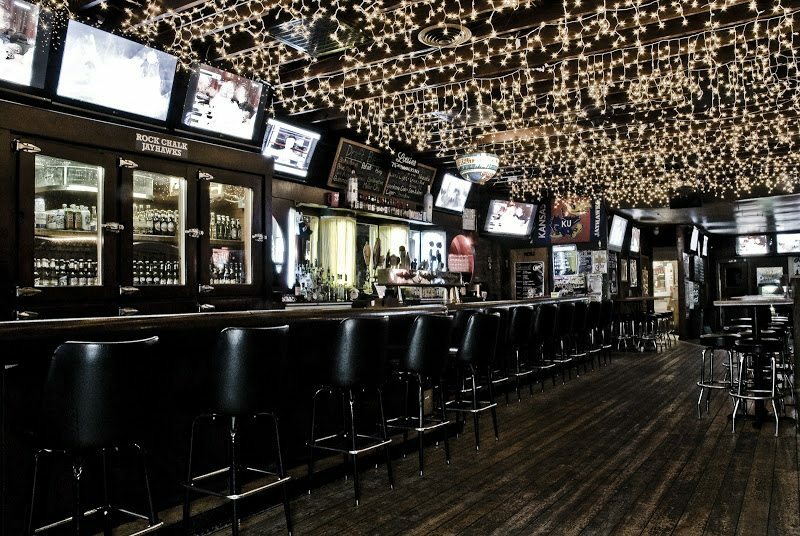 Tavern on Little Fort is a great stop to watch the NCAA Big 10 Conference on Saturday (14). Rather than going somewhere and mowing down wings, you can indulge in a Classic Reuben and fries for $10, accompanied by $5 Guinness drafts, $6 Irish car bombs and $3 Green Miller Lite drafts.